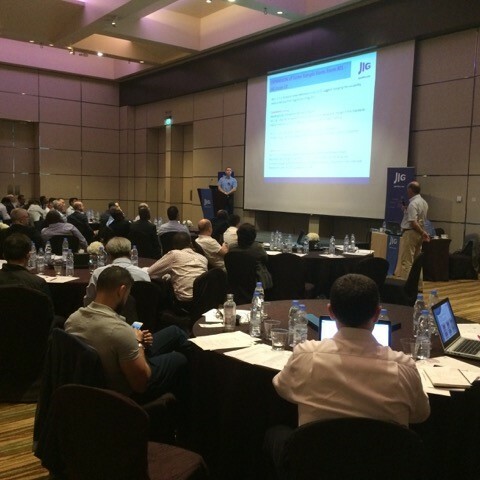 Dubai was the location for the JIG Managers Workshop and Inspectors Workshop last week and, according to the feedback from the participants, it was a valuable experience. Over 70 JIG Members from various sectors of the Aviation Refuelling Industry participated in the 2-day Workshop and another 20 joined the Inspectors Workshop. For the first time, we welcomed attendees to the Inspectors Workshop who had successfully participated in and passed, one of the recent “Training to Inspect to JIG Standards” courses. JIG were delighted to add that expertise to the pool of knowledge within the JIG Inspector community and this will be part of the JIG Member offer going forwards. The Agenda, as always, was packed, with presentations linking the work on the JIG Standards (including EI/JIG 1530), through the ease and availability of JIG Publications, to the latest developments in Filtration, Hydrant Refuelling and Equipment, and all the other Energy Institute work that is going on. We updated the sessions on JIG’s work with IATA and the changes to JIG’s Inspection Policy and highlighted the significant developments on the JIG website that will unfold this year and allow the participants in JIG JITS locations, a ‘Dashboard’ view of their activities. A comprehensive look at Product Quality Documentation and some great feedback on Inspections Findings, including a ‘hands on’ exercise related to Inspections, made up some of the other highlights of the 3 days. There were also many opportunities for networking within the industry – although JIG’s Anti-Trust Policy was delivered at the beginning of the Workshops to ensure that all participants ensured that discussions were technical in nature, or about the wonderful facilities of the hotel and the sights of Dubai. In line with feedback we outlined the plan for the next year’s Workshops and Training, with a European Workshop in September and a JIG “Training to Inspect to JIG Standards” course in the Far East in May, Europe in June and Abu Dhabi in October. They will be on the website soon.